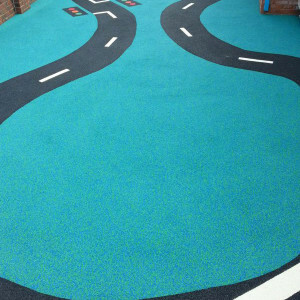 We offer Great Prices, Great Quality & Workmanship in the market installed and guaranteed up to 15 years. 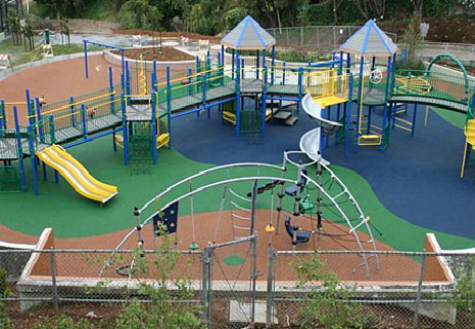 Florida Playgrounds specializes on installation and repairs of Poured-In-Place rubber safety surfaces. 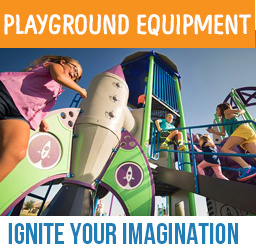 Our Poured-in-Place systems are easily installed and customized for of any playground. 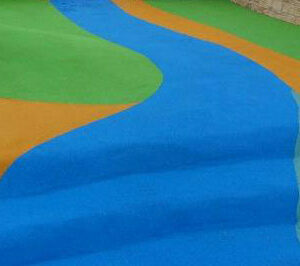 Our Poured-In-Place (PIP) can be customized to any color of your preference. 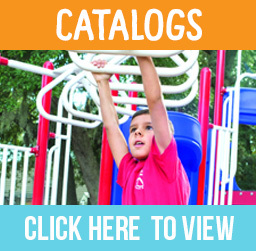 Thickness can be modified to meet various critical height fall zones for certain age groups in playgrounds for any schools, Parks, Churches or HOA. We use nothing but the best products in the market to insure a Safety, Value and Customer Satisfaction. All of our product is IPEMA certified and meets ASTM standard. 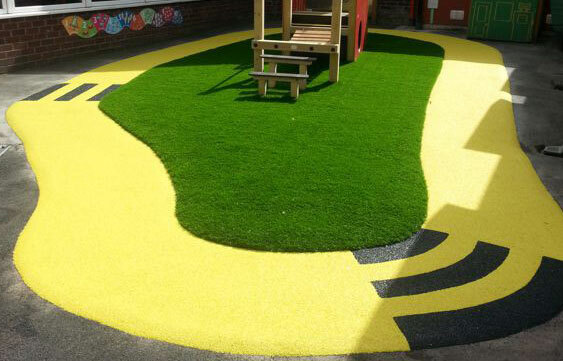 What is Rubber Playground Surfacing? 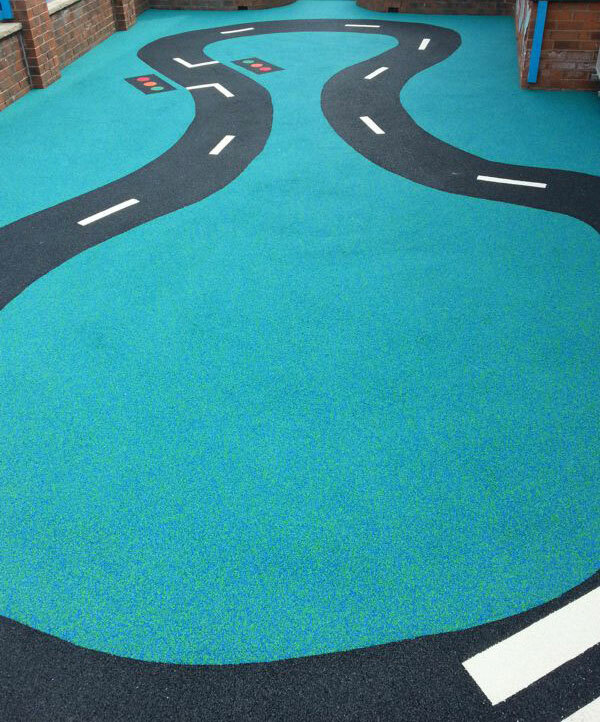 Poured-in-place is a seamless surface formed with a two-layer system consisting of a wear layer of EPDM and a cushion layer of SBR that provides the shock absorption. 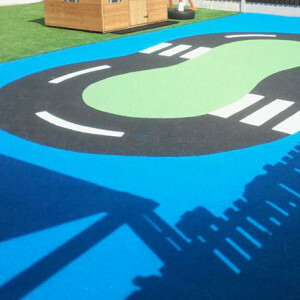 This is by far, the most popular preferred unitary playground surfacing, based on finish, color options, designs, uniformity, accessibility and safety. The materials are bound together with a glue, or binder, and the product is poured and troweled in place like a concrete. What Sub-base Can PIP Be Installed Over? Can be installed on crushed stone, concrete or asphalt. Is Poured-in-place Available in Different Colors? 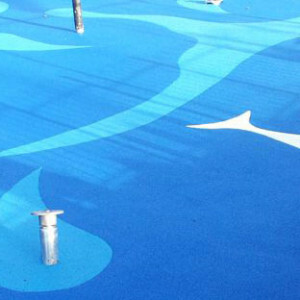 What is the Safety Rating for Pour-in-Place Rubber Surfacing? Our PIP is fall rated up to 12’ high. 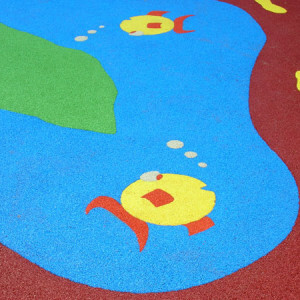 How Do You Maintain Rubber Surfacing for Playground? Maintenance includes periodic cleaning or blowing off of large debris. 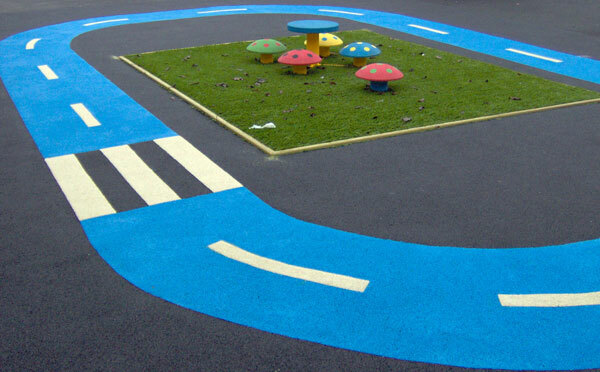 What is Poured In Place Rubber Playground Surfacing? Budget an additional $1.25 per square foot for reapplication of the binding agent (reseal) to the wear cap, to extend the life of the product. 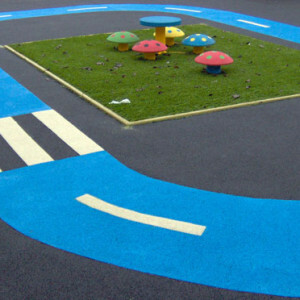 What is the installation cost of Poured In Place Rubber Playground Surfacing? 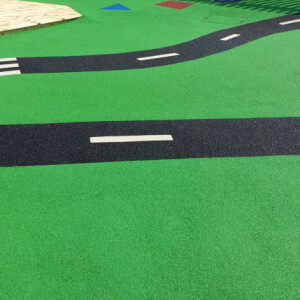 What is the Warranty on Rubber Playground Surfacing? Our warranty is 5 years on the installed product, however, many installations have been in place for a decade. 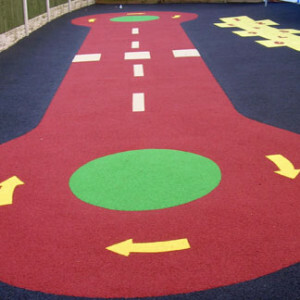 Is EPDM Rubber Playground Flooring the Best Playground Surfacing? 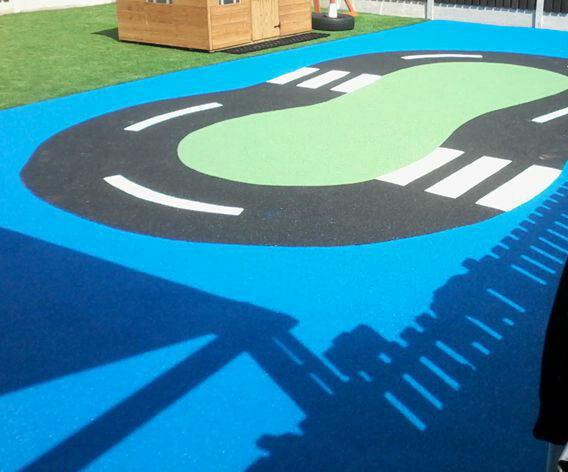 Given its colorful and playful appeal, low maintenance, safe and accessible performance, EPDM rubber surfacing is the most popular option for playground users that need a durable surfacing option for their playground. 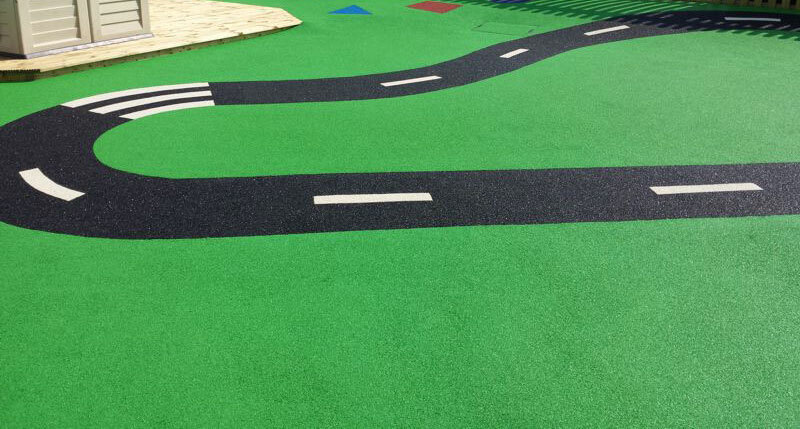 What Color options Are Available for Rubber Surfacing? 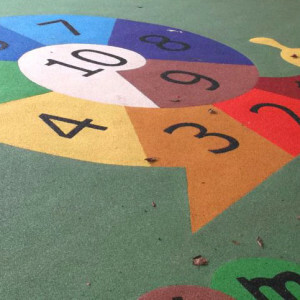 There are a vast range of colors, logos and designs that be created for your playground, so ensure that your children can have fun while also being kept safe. 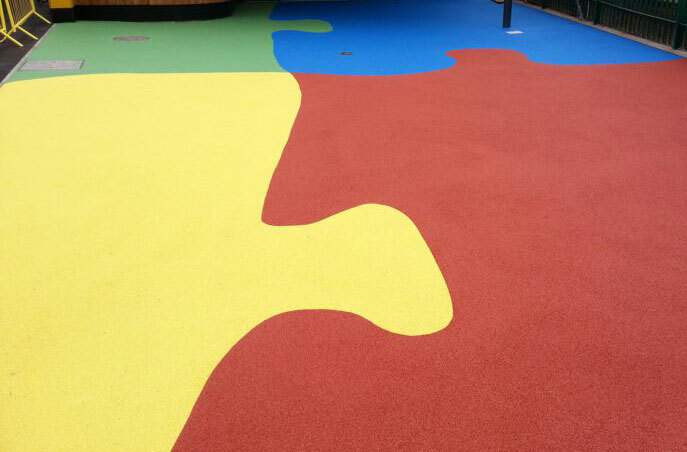 Poured-In-Place Rubber Surfacing has been the number one safety surface for playgrounds due to its versatility and reduced liability. The modular option of adjusting the amount of product for its age group has been convenient for many installers. Our Poured In Place is manufactured in USA and is one of the first companies to introduce the Poured In Place Technology to North America. 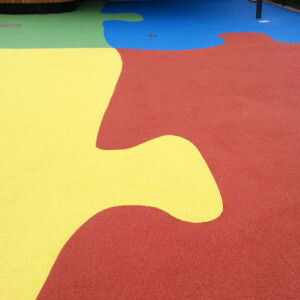 Poured-In-Place rubber surfacing through Florida Playgrounds offers a certified resilient safety surfacing system, which provides a fun, clean and attractive environment for children’s playgrounds. 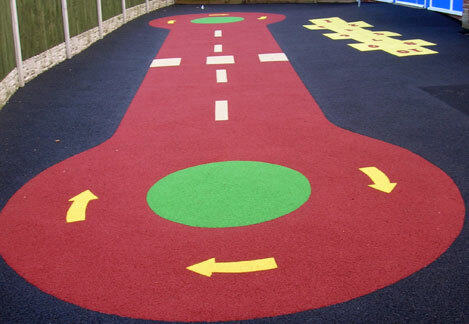 Our rubber playground surfaces are made from non-toxic pigmented material primarily derived from recycled tires. 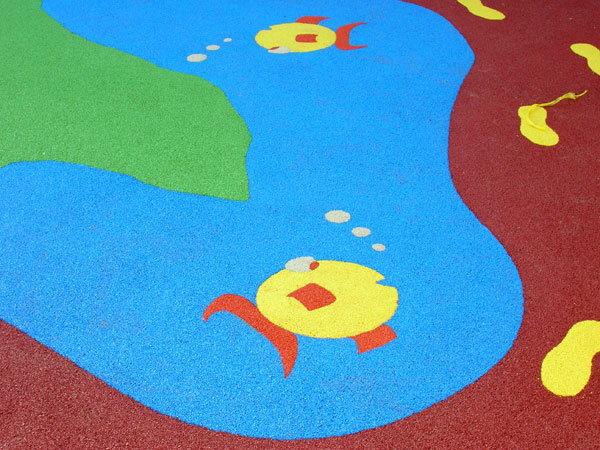 The thick, soft, shock absorbing layer creates a cushioned surface that allows children to play safely. Our product is manufactured in the USA and is IPEMA certified. There are a great selection of colors and color combinations to choose from. 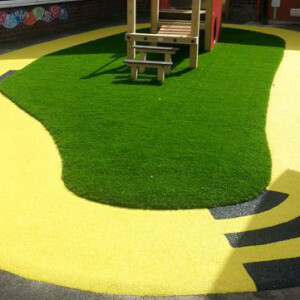 Is EPDM Rubber Safe Playground Surfacing? 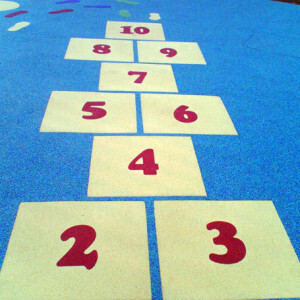 There are a list of requirements and specifications for its required installation thickness and resilience, depending on the playground fall height. 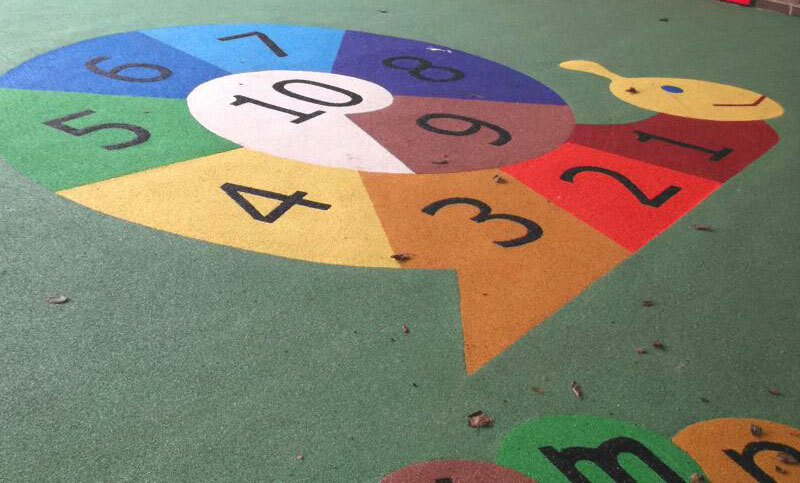 The standards of the required thickness to be installed for a playground area (regardless of the colors) are mandated for safety by ASTM safety standards. 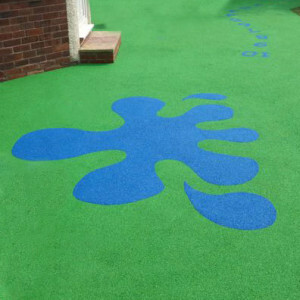 Where Can I Find Rubber Playground Surfacing for Our Playground? 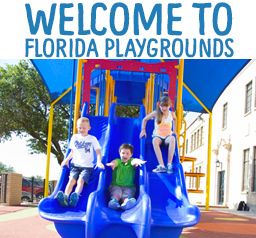 Call Florida Playgrounds, Inc. to schedule a site visit and we’ll put together a no cost non-binding estimate that will help you determine what surfacing option is best to either restore your playground surfacing, or replace it altogether. Our product is manufactured in the USA and is IPEMA certified. There is a Great Selection of colors and color combinations to choose from. 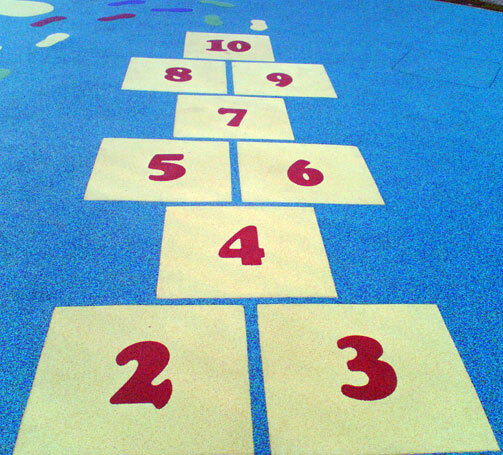 There is a list of requirements and specifications for its required installation thickness, depending on the playground area fall heights. 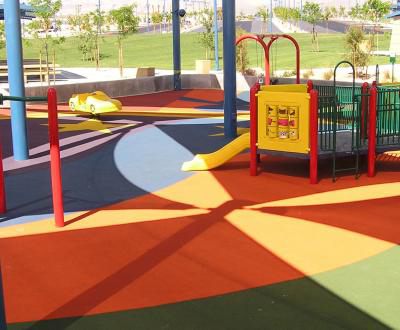 The standards of the required thickness to be installed for a playground area (regardless of the colors) are mandated for safety by ASTM safety standards.